Baby-Boomer-Retirement.com has covered a variety of overseas retirement options, including locations in South and Central America, the U.S. territories, and Thailand. Only rarely have I mentioned locations in Europe because so many of them are as expensive, and sometimes more expensive, than retiring in the United States. 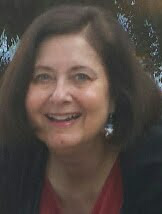 Recently, however, I have learned about a few European locations that are charming, convenient and affordable! The first one I wish to cover is the Abruzzo region of Italy. In addition to rent, an estimated monthly budget would include $100 a month for local transportation, $50 for utilities, $125 for phone/internet/cable service, $125 a month for household help, $300 for groceries and $300 for entertainment and other expenses. Senior citizens in Italy are frequently offered restaurant discounts and there are express lines for seniors in many public locations, including grocery stores. Not only is the cost-of-living for Abruzzo well within the means of most American couples who are living solely on Social Security, but many couples will also be able to occasionally tour around Europe or visit the United States. The region is only about an hour's drive away from Rome, and residents have easy access to both train and air travel. Americans moving to this region of Italy will find a very appealing climate. Summer temperatures are warm and can reach into the low 90's. Temperatures in the spring and fall will typically range from the 60's to the 80's. In the winter, the average daytime temperature is in the 40's or 50's, although temperatures can become colder and there is increased precipitation the further inland you are from the sea. It is very rare for the temperatures to be freezing along the coast of the Adriatic Sea, while snow can fall in the nearby mountains. Consequently, you can live in this area of Italy and still choose the climate you think your would prefer. Like Southern California, in a typical Abruzzo winter it is possible to visit the mountain ski slopes in the morning and relax at the beach that afternoon. This picturesque region is full of lovely vineyards, gorgeous castles and romantic stone villages. There is a low crime rate and residents can expect to find friendly, caring neighbors. 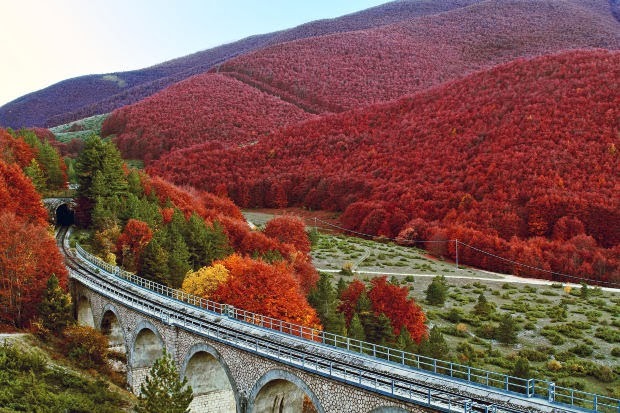 The hillsides are gorgeous ... as you can tell from the above photo of fall foliage in Abruzzo. Americans cannot utilize the Medicare system when they are living in another country. It is also unlikely that you will qualify for the national health plan service in Italy. However, you can pay privately for your medical care and it tends to be quite affordable ... about $30 for a doctor visit and $200 a night for a hospital stay. The quality is quite high, as well. Italy's healthcare system is ranked second in the world by the World Health Organization, far above the United State's 37th ranking. If you have a serious, chronic condition that could require frequent treatments and doctor visits, however, it may be worth it to contact a hospital in the area to get a realistic idea of what you would need to spend per year to maintain your health. If you are thinking about moving to another country, you may also be interested in using this Amazon link to the book: "How to Retire Overseas: Everything You Need to Know to Live Well (For Less) Abroad." If you are making your retirement plans, use the tabs at the top of this page to find links to hundreds of articles about places to retire in the United States and overseas, financial planning, medical concerns, family relationships, and more. As you mentioned, Abruzzo is close to Rome but it's also not far from Italy's West coast on the Tyrrhenian Sea with beautiful hill towns to visit like Positano. Abruzzo sounds ideal for anyone wanting to reside in Italy and explore easily explore more it this gorgeous country. Thank you so much for adding your helpful information about Abruzzo to this article! The cost of living figures mentioned need some adjustments! I took your advice and updated the numbers for the benefit of my readers. Thanks! Abruzzo has many treasures of culture and especially of Christian religious culture that are little known. Often they are unique or very rare in the world. Did you know that Pontius Pilate was born in Bisenti? It is the region of the great poet Gabriele D'Annunzio in Pescara. In Civitella del Tronto there is one of the largest fortresses in Europe and it was the last stronghold of the Kingdom of the Two Sicilies, which resisted until after the Unity of Italy. The cuisine of Abruzzo offers many culinary delights, food and local wines thanks to a mix of history, mountains, hills, lakes, sea and unique landscapes which are all a human dimension. And I could go on and on: in short, Abruzzo offers unique and priceless treasures that enrich people in body and soul. I was born in Canada from parents of Teramo (Abruzzo north) we came back to live here to enjoy all these treasures. I am a mechanical engineer, not a tourism professional, when I go with friends and relatives Americans and Canadians in this my beautiful region, I see the amazement and wonder in their eyes. my wife and I are Planning to Move to Abruzzo and have many questions. We have visited Italy in 2013 for about 25 days and ended up in Rome. we would like to take a few things with us and have researched some about shipping and the import tax. She is employed with a world wide company and we would like to find a place with many olive trees to keep myself and my son in law busy. I would greatly appreciate any information that anyone would like to provide to aid us in this new chapter in our lives.